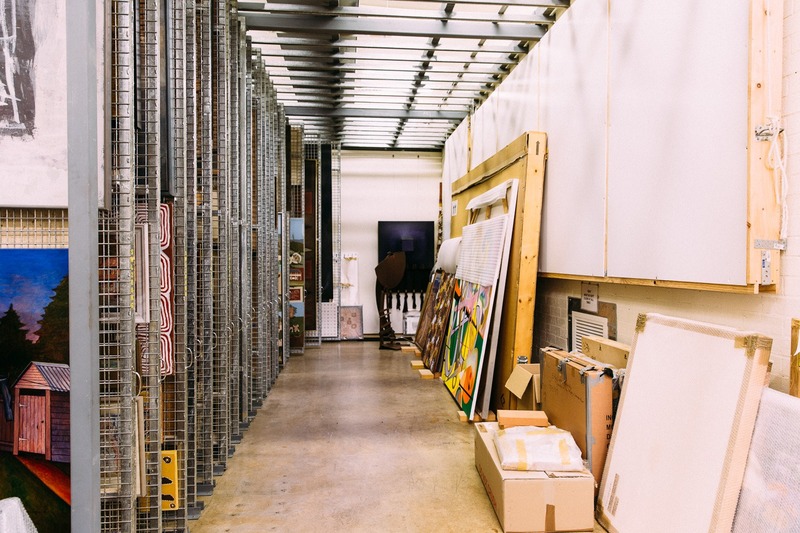 Once the City of Campbelltown Art Collection, C-A-C’s permanent collection has grown since 1988 with initial works being collected in 1962 and is valued at over $8 million. The collection consists of more than 1,460 works which are predominately contemporary Australian art post 1950. This includes paintings, original prints, drawings, sculptures, digital and new media works, weavings and ceramics. Highlights of the Permanent Collection include works by Joseph Lycett, Emily Kngwarreye, John Peart, James Gleeson, Wei Guan, Yvonne Koolmatrie, Fiona Foley, Bronwyn Oliver, Roy Jackson, George Gittoes, Shaun Gladwell and Tom Bass. • contemporary Australian art of national significance. To view a full list of the artists in the Permanent Collection please click here. How can I view the Permanent Collection? Works from the Permanent Collection can be viewed on arrangement with CAC staff. A minimum of four weeks notice to the Arts Centre is appreciated, to book contact 4645 4100 or email. Please provide your preferred date and the works that you are interested in. Works from the Permanent Collection are on display at public Campbelltown Council facilities such as HJ Daley Library, Eagle Vale Branch Library and Glenquarie Branch Library. We also exhibit parts of our Permanent Collection in an annual exhibition as well as permantley in our Sculpture garden, open daily 10 – 4pm. Can I donate a work to Campbelltown Arts Centre? Campbelltown Arts Centre welcomes gifts of works of art for the collection. To talk about donating a work, please contact us with the details of the artwork you would like to donate and we will consider it to ensure it meets our collection policy. Where appropriate, Campbelltown Arts Centre can accept donations as part of the federal government’s Cultural Gifts Program.